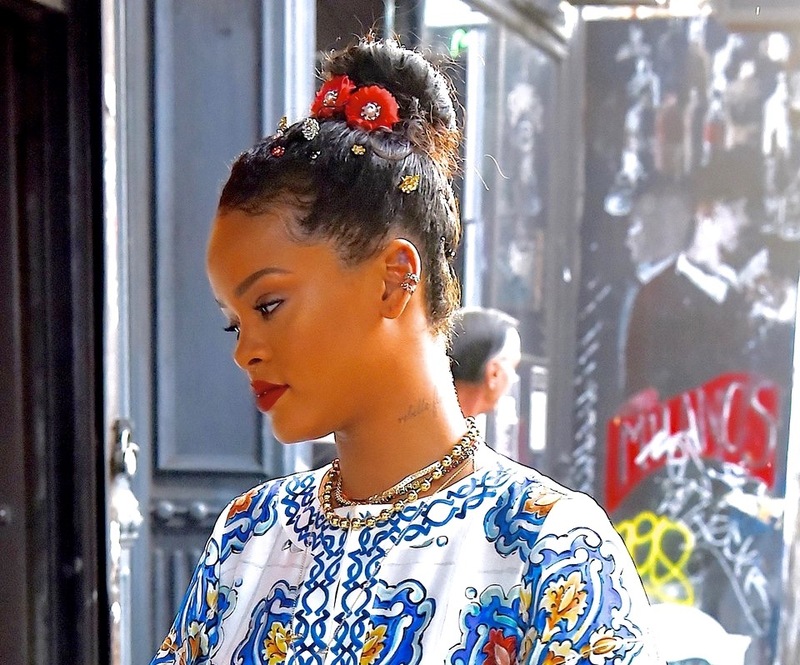 [Flower Power] Rihanna serving inspiration with her flawless flower bun. Back in the day, I remember when flower accessories were all the rave. I really dug this craze because, I mean, who wouldn't want to decorate their hair with tiny flowers? But, like other fads, people moved on to the next thing. And...like most trends, it somehow always seems to roll back around again. Today, we live in a world of festivals and flower crowns, it was only a matter of time before my beloved flower hair clips made an appearance. I'm loving this inspiration from Rihanna. Summer heat makes wearing your hair down almost unbearable. I predict that many of you will turn to the top knot as a daily summer style option. If so, then let's get a little creative. 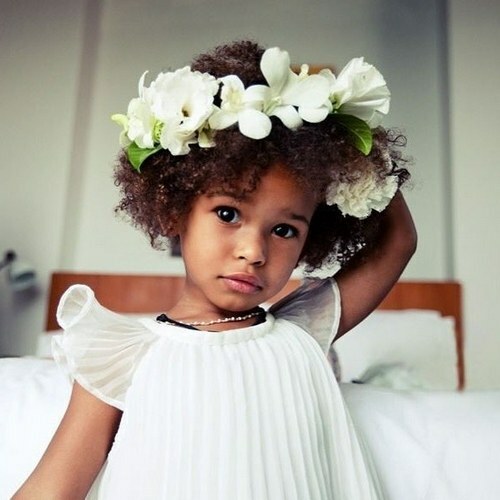 Is there anything cuter than her mini-bun-flower-crown? 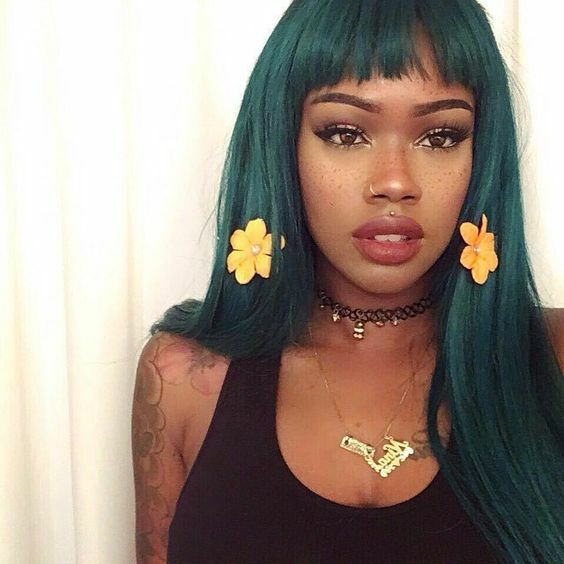 I love this look immensely and can not wait to recreate it. But Rihanna doesn't stop there. She takes it to the next level by sprinkling tiny little flower pins making it appear as if she just returned from running through a field of wildflowers. They perfectly compliment her fresh face and bold colors. If using flowers as an accessory hasn't come across your mind, it's time to explore the unlimited options because there are no rules. 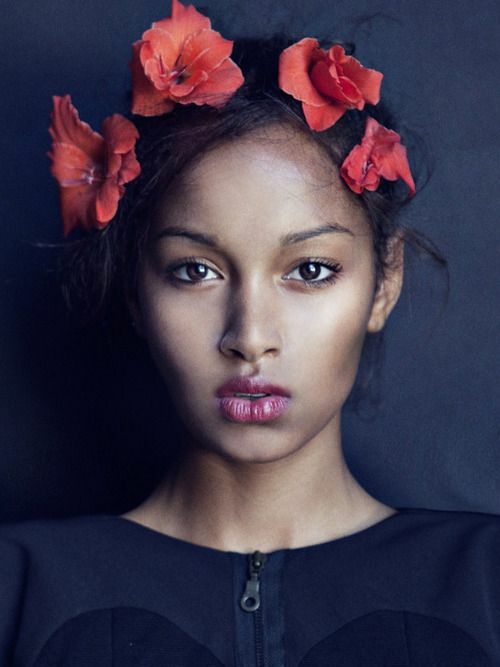 The reason why flower crowns are even a thing is because it's scientifically proven that flowers in the hair makes everyone look 100% flawless. This summer, bring out your inner flower child. 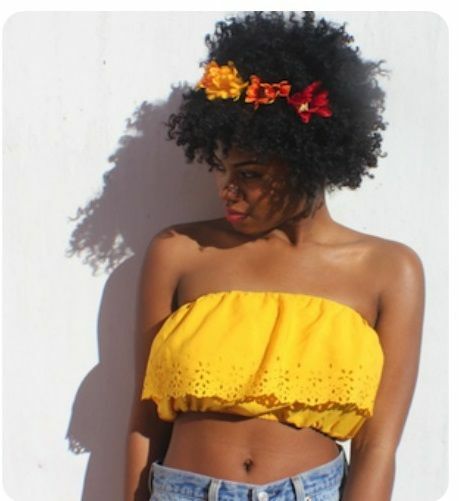 So go, my beauties, and experiment with flower clips of all shapes, sizes and colors until you perfect your ultimate flower child look. I absolutely love this hair style! Thank you so much for sharing. You always are so great at explaining difficult looking styles in an easy to comprehend way!